HONG KONG: Misbah-ul-Haq, the most successful Test captain in Pakistan's Test history, will feature in the 2017 edition of the Hong Kong T20 Blitz. This announcement was made today by Amna Naqvi, the owner of Leonine Global Sports. LGS is the parent company of both HKI United and Islamabad United, the inaugural champions in the Pakistan Super League. Misbah will captain HKI United immediately after the conclusion of the second edition of the HBL PSL where he will lead Islamabad United again. The HK T20 Blitz is a five team T20 franchise cricket tournament scheduled to hold its second edition from March 8 to 12, 2017. The 2016 event was highlighted by the signing of Australia's World Cup winning captain, Michael Clarke. The signings of Shahid Afridi, Kumar Sangakkara and Darren Sammy had already been announced by various franchises for the 2017 edition, and HKI United have provided the coup de grace with their signing of Misbah. Regarding the signing, Ryan Campbell, former Australia and Hong Kong international, and current coach of the HKI United team said, "To have a player of Misbah's standing in the cricket world join us shows how big this tournament is getting and how vast our ambitions are. He's a natural leader and brings the bond between Islamabad United and HKI United even closer." 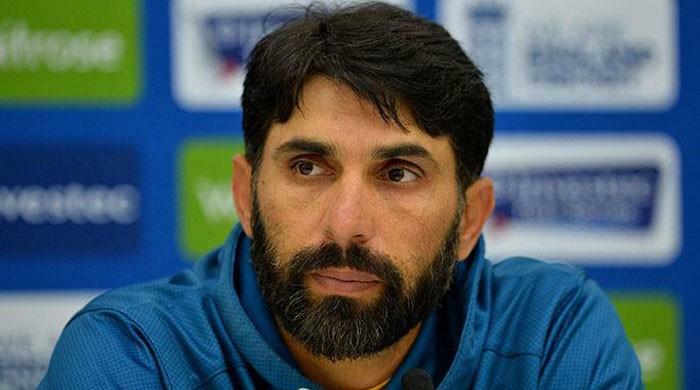 Misbah himself echoed those views saying, "It'll be a new experience for all of us, and I hope we can take HKI United and the Blitz into a new era. My aim, as always, is to lead the team to the winner's podium, and having worked with the Naqvis and their LGS team before with Islamabad United I'm sure the HKI United team will be strong enough to compete for that spot too." Amna Naqvi, the owner of HKI United, corroborated those sentiments, and also announced that Misbah will captain the HKI United team saying, "We've worked with Misbah extensively over the past twelve months and we're sure there isn't anyone better to lead a new franchise. Considering what he's already achieved with the Pakistan team and with Islamabad United I'm sure a repeat of that for HKI United is something he is fully capable of. Furthermore this signing creates a synergy between our two franchises, and shows that as far as cricket is concerned we are all part of one great family. Finally, the prestige this signing brings to both HKI United and the tournament as a whole shows the ambition we have going forward." Tim Cutler, the CEO of Cricket Hong Kong, welcomed the signing saying, "The announcement that Misbah-ul-Haq will be playing in the Blitz is a testament to how far the tournament has come in such a short time. An inspirational test captain who also led Islamabad United to victory in the first Pakistan Super League last year is an amazing addition to the event. I am particularly pleased to see HKI United tap into their winning team across the United family to bring such as star to Hong Kong. Four marquee players have been announced, each one of them international captains and stars in their own right in what promises to be an amazing event here in Hong Kong." Along with Misbah, the team also boasts two former Hong Kong captains in Jamie Atkinson and Tanvir Afzaal. Further signings are expected in the coming weeks.